Human information behavior encompasses multiple dimensions of how people interact with information. This course provides an introduction to research, theories and models of information behavior and addresses information needs and barriers, information seeking processes, and information use in various professional, educational, and everyday life contexts. 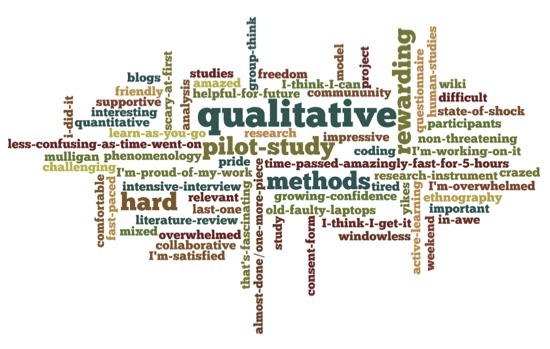 Because the process of understanding information behavior tends to be qualitative and inductive in nature, a major focus of the course is qualitative research methods. This course complements courses in user services, human-computer interaction (HCI), and information retrieval. Assignments include in-class exercises, a critical analysis of the literature in a chosen area of study, and original research resulting in a presentation and research proposal. Prerequisites: LIS 7010, LIS 7040. This work is licenced under a Creative Commons Attribution-No Derivative Works 3.0 United States Licence.